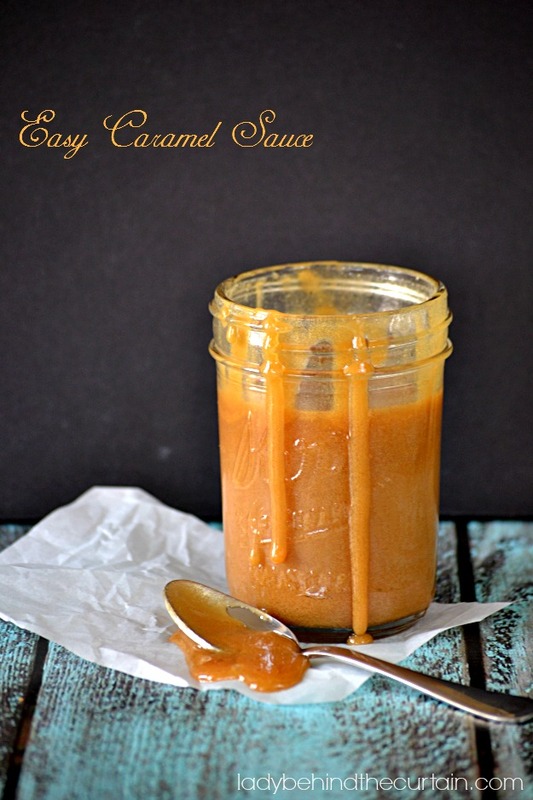 Easy Caramel Sauce | Everything you love about a caramel sauce without the candy thermometer! 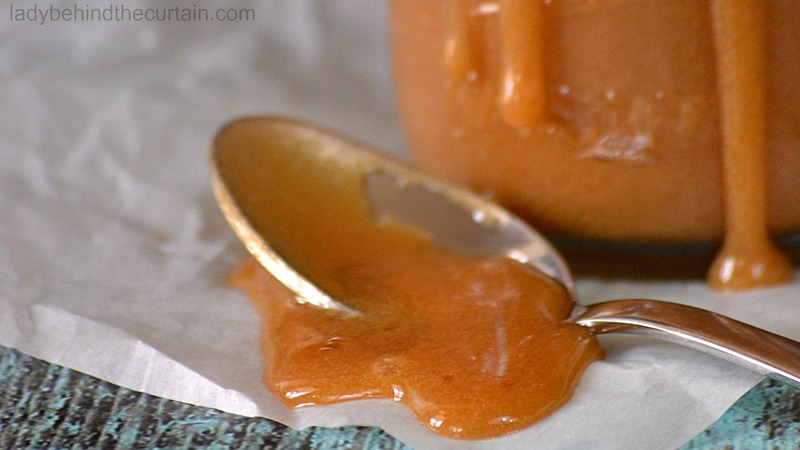 This Easy Caramel Sauce is so easy to make you’ll want to always have a jar in your fridge. Add to a milk shake, coffee, ice cream, or top a brownie. The choices are endless for this yummy jar of golden deliciousness. To see just how easy it is to make this sauce…..watch the below video. I used this Easy Caramel Sauce as a drizzle on my Company Brownies. Mix the brown sugar, half and half, butter and salt in a saucepan over medium-low heat. Turn off the heat, cool slightly and pour the sauce into a jar. This sounds fairly simple to make and we love caramel sauce drizzled over so many things so I think I’ll give it a try soon. Thanks for sharing. Visiting you from Full Plate Thursday. Hello!!! I´m new in the kitchen, so a have some questions, what do you mean with 1/2 half and half? how can this be stored after it has been placed in the refrigerator until cold–>keep in fridge or pantry shelf is fine for extended storage? Hi Susan, I keep mine in the refrigerator and microwave is a tiny bit to loosen it up again. 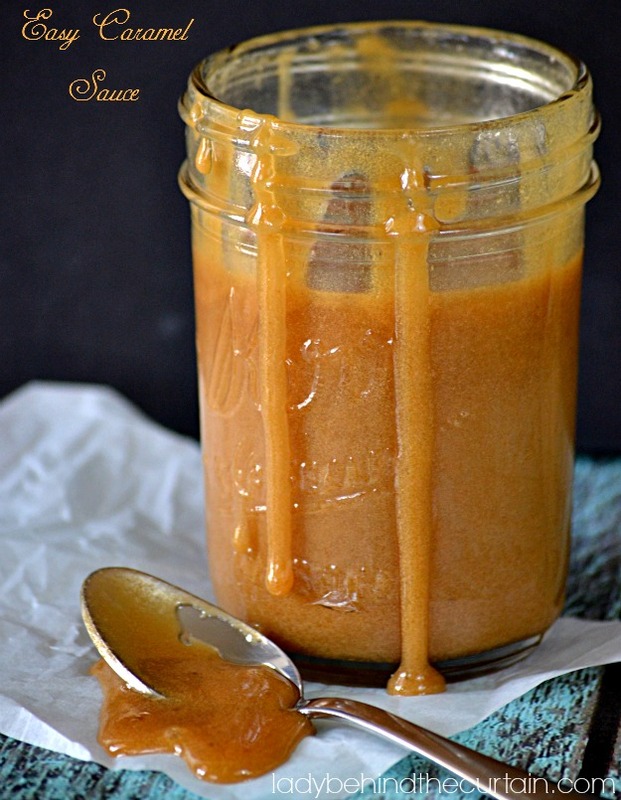 IF I MADE THIS CARAMEL SAUCE, DO YOU THINK I WOULD BE ABLE TO CAN IT IN A WATER BATH OR PRESSURE CANNER? 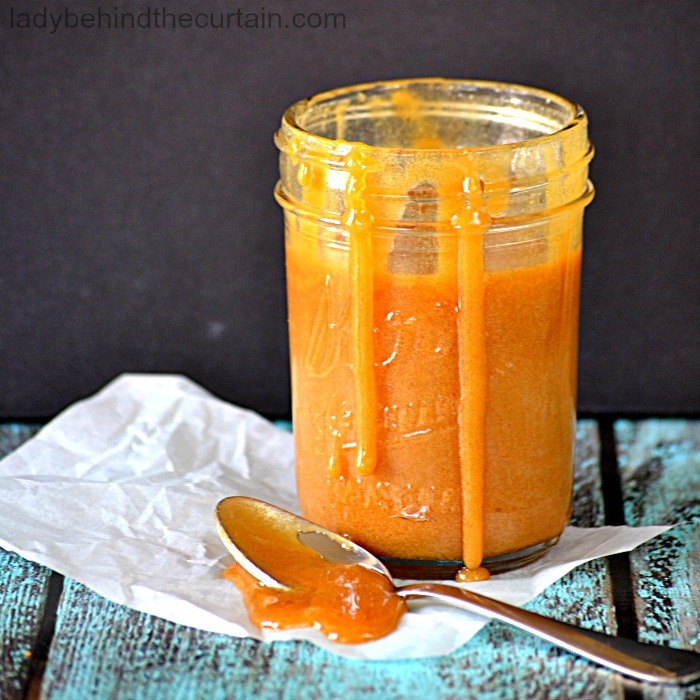 I HAVE BEEN LOOKING FOR A CARAMEL SAUCE THAT WOULD HOLD UP TO CANNING. THANK YOU FOR YOUR REPLY! Hi Barbara, I’ve never tried it but I think if you only have to have the jars in the boiling water for 5 to 10 minutes the sauce should be fine. I made this sauce will it thicken as it sits? Hi Tina, Yes as the sauce cools it will thicken.